· Appetite reduction: Strategically choose the right foods to naturally and easily tame your appetite. · Metabolism boost: Adjust eating patterns to burn calories faster for about three hours after each meal. · Cardio protection: Discover the powerful foods that can help reduce cholesterol nearly as much as drugs do in just weeks. 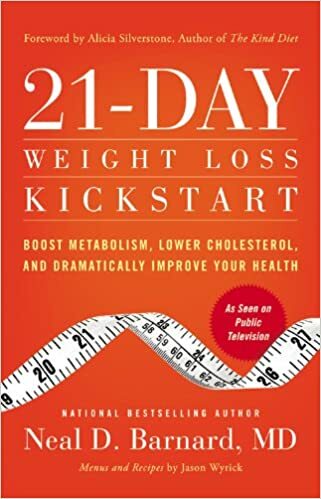 Whether you are one of the millions who are anxious to get a jumpstart on weight loss or who already know about the benefits of a plant-based diet but have no idea how or where to start, this book is the kickstart you've been waiting for. Complete with more than sixty recipes, daily meal plans for the 21-day program, tips for grocery shopping, and more, this book will teach you how to make the best food choices and get your body on the fast track to better health.